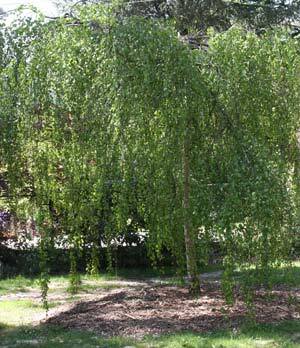 A deciduous medium sized tree, Betula pendula makes an excellent specimen tree and can also be used for mass planting in larger parts and gardens. Although regarded as hardy once established in dry to drought conditions some extra water may be required. Look for a position in a deep humus rich soil, perhaps with some protection from extreme afternoon sun and hot drying winds. Wholesale nursery with a wide range of bare root semi advanced trees, deciduous ornamental trees, fruit tree stocks and potted products.